Louise O’Donnell has lived on both coasts and in America’s large cities and small towns pursuing her career as an executive of creative design and merchandising for the catalog industry. 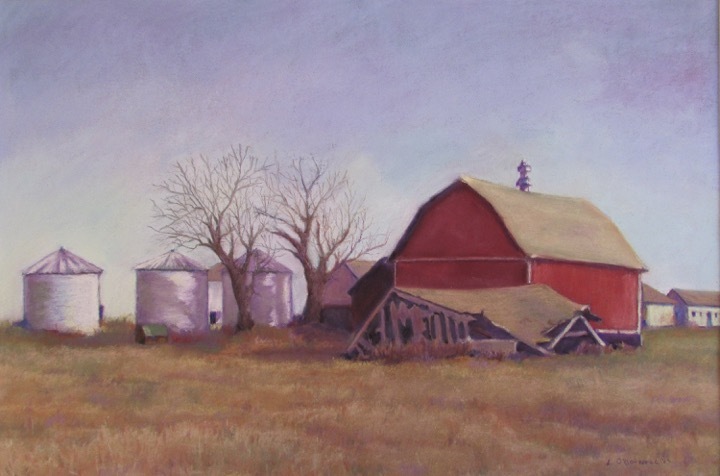 A graduate of Iowa State University, Louise chose to return to her home state and pursue the happy life of painting Iowa countryside, traveling and volunteering. “I am inspired by the big sky and the colors and drama of the flat plains and rolling hills, but most of all by the people. I’m drawn to both past and present people who in their ordinary lives inspire and evoke in me a very real connection. Each painting I do must mean something to me and I hope that it means something to those who view them. Louise works in watercolor and pastel. Many of her paintings are available in museum quality giclee prints. 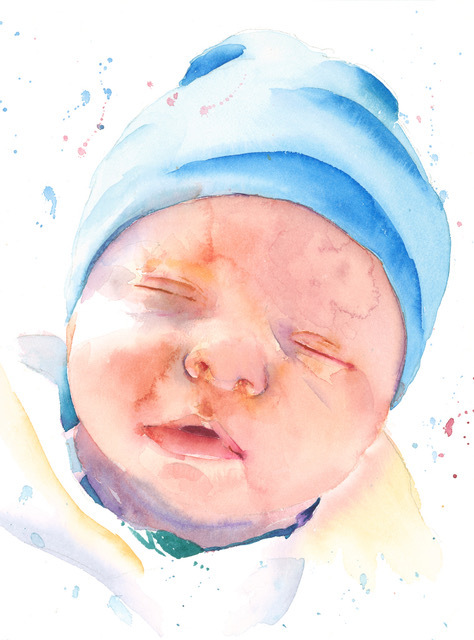 What attracted me to watercolor as a medium is its fluidity, transparency, and light. Watercolor keeps me centered. You can’t control the paint completely — as you can with oils or pastels. The combination of water, paper, and pigment take a direction of its own, despite your intention. Working in watercolors always brings these unintentional interactions. Nudging them toward what I see is the challenge and reward for me. Watercolors, like life, remind me I am not always in control and that letting go can bring beautiful and unexpected surprises. My watercolor work does not tend toward the realistic. I am always after the impression or feeling of the subject. Jo teaches painting classes at the Iowa City/Johnson County Senior Center and a variety of other locations. You can find scheduled classes and workshops on the Classes and Events page, pictures of some of my work in the Online Gallery, and more thoughts on art and healing on the Tomato Bisque Soup Club page. Iowa Artisans Gallery (Iowa City) and Artisan Gallery 218 (West Des Moines) have my paintings for sale when available, and the Classes and Events page has a list of shops that carry my artwork (call ahead if you want to make sure it’s in stock). Follow my blog to see what I’ve been doing lately. 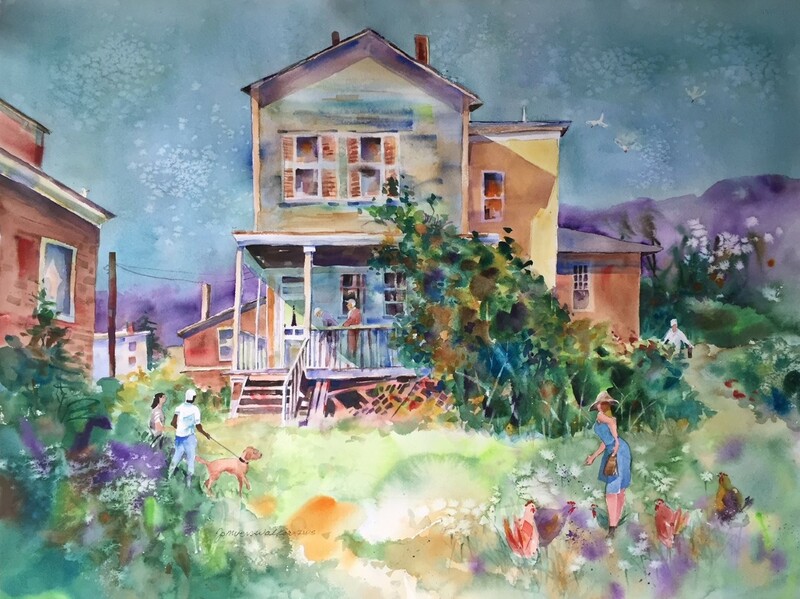 I’ve been an artist and art teacher for more than 50 years, working with people of all ages. Although I’m mostly into watercolors, I’m always exploring new techniques and materials. For me, the most joy of creating something is in the process of dreaming it up and figuring out how to actualize it. In 2013 I sold my studio building in Gilbert, Iowa, and moved to Iowa City, giving me the freedom to paint, live simply, go “on tour,” and be of service. I try to encourage others to have the courage to risk and live creatively. My classes and workshops take a gentle approach. They all involve real artistic technique, and also some element of the “inward journey.” In everyday life we get so caught up in details, so we take time to learn to be silent, listen, and allow the Spirit to work. Not only does this promote relaxation and renewal, but it also improves the artwork! By telling their story through art, people often create beautiful things that they never thought they could.